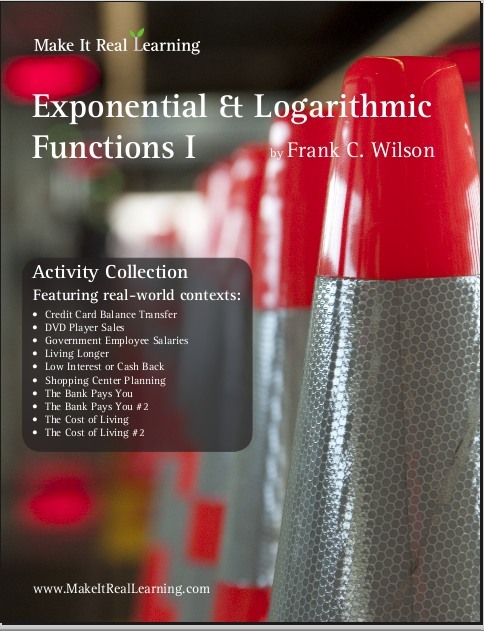 The Make It Real Learning Exponential and Logarithmic Functions I workbook focuses on real-world situations that may be effectively modeled by exponential and logarithmic functions. 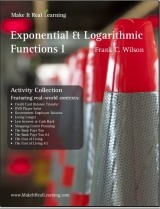 This book is suitable for algebra 2 or precalculus students. From determining whether it is better to take a low interest rate or cash back to forecasting the cost of living, learners get to use mathematics in meaningful ways. Each activity integrates real world information, companies, and issues (e.g. Chase Bank, GMAC, DVD sales, compound interest, shopping center planning, cost of living), not just "realistic" data.